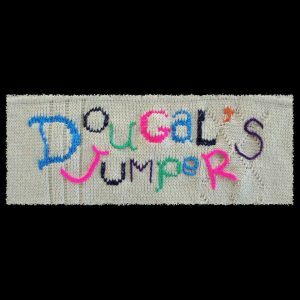 Dougal’s Jumper knits together diverse performances from Scotland’s village halls, to stages from across the world. Dougal’s members have played at many different events including T in the Park, Celtic Connections, the Tall Ships festivals and the Carrickfergus Waterfront Festival. They have performed at international venues including The World Stage at Disney’s EPCOT Centre (Florida), Hilton Hotels (Paris and Glasgow), The Rainbow Room (Los Angeles) and the Thor (Nice). 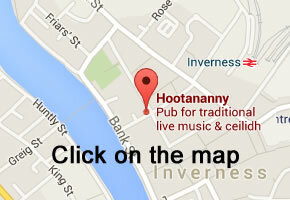 Other venues, closer to home, include The Halfmoon and Kashmir Klub (London), King Tut’s (Glasgow) and The Music Hall and The Lemon Tree (Aberdeen). As support acts, they have shared a stage with the likes of The Proclaimers, Bob Geldof, The Supernaturals and The Commitments. Dougal’s members have also recorded a number of CDs and have had their music included on a BBC soundtrack. Dougal’s Jumper are Catherine Stables, Maria Miller and Mike Reeves.